February 1812�9 June 1870, was the most popular English novelist of the Victorian era, and one of the most popular of all time. He created some of literature's most iconic characters, with the theme of social reform running throughout his work. The continuing popularity of his novels and short stories is such that they have never gone out of print. Much of his work first appeared in periodicals and magazines in serialised form, a popular way of publishing fiction at the time. Other writers would complete entire novels before serial publication commenced, but Dickens often wrote his in parts, in the order they were meant to appear. The practice lent his stories a particular rhythm, punctuated by one "cliffhanger" after another, to keep the public eager for the next installment. His work has been praised for its mastery of prose, and for its teeming gallery of unique personalities, by writers such as George Gissing and G. K. Chesterton, though the same characteristics have prompted others, such as Henry James and Virginia Woolf, to criticize him for sentimentality and implausibility. Dickens was born on 7 February 1812, in Landport, Portsmouth, in Hampshire, the second of eight children to John Dickens (1786�1851), a clerk in the Navy Pay Office at Portsmouth, and his wife, Elizabeth (n�e Barrow, 1789�1863). 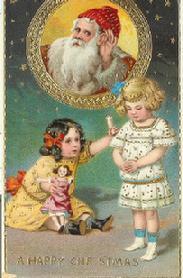 He was christened at St Mary's Church in Portsea on 4 March 1812. When he was five, the family moved to Chatham, Kent. 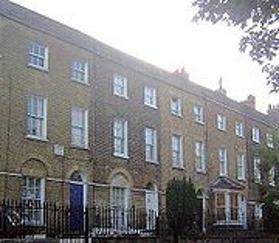 In 1822, when he was ten, the family relocated to 16 Bayham Street, Camden Town, in London. His early years seem to have been an idyllic time, although he thought himself then a "very small and not-over-particularly-taken-care-of boy". He spent time outdoors, but also read voraciously, with a particular fondness for the picaresque novels of Tobias Smollett and Henry Fielding. He talked, later in life, of his extremely poignant memories of childhood, and of his continuing photographic memory of the people and events that helped to bring his fiction to life. His family's early, moderate wealth provided the boy Dickens with some private education at William Giles's School, in Chatham. This time of prosperity came to an abrupt end, however, when his father spent beyond his means in entertaining and in retaining his social position, and was finally imprisoned at Marshalsea debtor's prison. Shortly afterwards, the rest of his family joined him in residence at Marshalsea, south of the Thames, (except for Charles, who boarded in Camden Town at the house of family friend Elizabeth Roylance). Sundays became a treat, when with his sister Fanny, allowed out from the Royal Academy of Music, he spent the day at the Marshalsea. The prison provided the setting of one of his works, Little Dorrit, and is where the title character's father is imprisoned. Just before his father's arrest, 12-year-old Dickens had begun working ten-hour days at Warren's Blacking Warehouse, on Hungerford Stairs, near the present Charing Cross railway station. He earned six shillings a week pasting labels on jars of thick shoe polish. This money paid for his lodgings with Mrs. Roylance and helped support his family. Mrs. Roylance, Dickens later wrote, was "a reduced old lady, long known to our family", and whom he eventually immortalized, "with a few alterations and embellishments", as "Mrs. Pipchin", in Dombey & Son. Later, lodgings were found for him in a "back-attic...at the house of an insolvent-court agent, who lived in Lant Street in The Borough...he was a fat, good-natured, kind old gentleman, with a quiet old wife; and he had a very innocent grown-up son; these three were the inspiration for the Garland family in The Old Curiosity Shop. The mostly unregulated, strenuous�and often cruel�work conditions of the factory employees (especially children) made a deep impression on Dickens. His experiences served to influence later fiction and essays, and were the foundation of his interest in the reform of socio-economic and labour conditions, the rigours of which he believed were unfairly borne by the poor. After only a few months in Marshalsea, John Dickens was informed of the death of his paternal grandmother, Elizabeth Dickens, who had left him, in her will, the sum of �450. On the expectation of this legacy, Dickens petitioned for, and was granted, release from prison. Under the Insolvent Debtors Act, Dickens arranged for payment of his creditors, and he and his family left Marshalsea for the home of Mrs. Roylance. In May 1827, Dickens began work in the law office of Ellis and Blackmore, attorneys, of Holborn Court, Gray's Inn, as a junior clerk. He remained there until November 1828. Then, having worked energetically in his spare time to acquire Gurneys system of shorthand, he left to become a freelance reporter. A distant relative, Thomas Charlton, was a freelance reporter at Doctors' Commons, and Dickens was able to share his box there in order to report the legal proceedings. Here in a court near St. Paul's he was to listen for nearly four years to rambling, involved cases. This education informed works such as Nicholas Nickleby, Dombey and Son, and especially Bleak House�whose vivid portrayal of the endless machinations, lethal manoeuvrings, and strangling bureaucracy of the legal system of mid-19th-century Britain did much to enlighten the general public, and was a vehicle for dissemination of Dickens's own views regarding, particularly, the injustice of chronic exploitation of the poor forced by circumstances to "go to Law". In 1830, Dickens met his first love, Maria Beadnell. It is believed that she was the model for the character Dora in David Copperfield. Maria's parents disapproved of the courtship and effectively ended the relationship by sending her to school in Paris. In 1833, Dickens was able to get his very first story, A Dinner at Poplar Walk, published in the London periodical, Monthly Magazine. The following year he rented rooms at Furnival's Inn becoming a political journalist, reporting on parliamentary debate and travelling across Britain by stagecoach to cover election campaigns for the Morning Chronicle. His journalism, in the form of sketches which appeared in periodicals, formed his first collection of pieces Sketches by Boz which was published in 1836 and led to the serialization of his first novel, The Pickwick Papers, in March 1836. He continued to contribute to and edit journals throughout much of his subsequent literary career. Dickens's keen perceptiveness, intimate knowledge and understanding of the people, and tale-spinning genius were quickly to gain him world renown and wealth. In 1836, Dickens accepted the job of editor of Bentley's Miscellany, a position that he would hold for three years, when he fell out with the owner. At the same time, his success as a novelist continued, producing Oliver Twist (1837�39), Nicholas Nickleby (1838�39), The Old Curiosity Shop and, finally, Barnaby Rudge: A Tale of the Riots of 'Eighty as part of the Master Humphrey's Clock series (1840�41)�all published in monthly instalments before being made into books. Dickens had a pet raven named Grip which, when it died in 1841, Dickens had it stuffed (it is now at the Free Library of Philadelphia). On 25 March 1837, Dickens moved with his family into 48 Doughty Street, London, (on which he had a three year lease at �80 a year) where he would remain until December 1839. A new addition to the household was Dickens's younger brother Frederick. Also, Catherine's 17 year old sister Mary moved with them from Furnival's Inn to offer support to her newly married sister and brother-in-law. It was not unusual for a woman's unwed sister to live with and help a newly married couple. Dickens became very attached to Mary, and she died in his arms after a brief illness in 1837. She became a character in many of his books, and her death is fictionalized as the death of Little Nell. In 1842, Dickens made his first trip to America travelling with his wife to the United States and Canada, a journey which was successful in spite of his support for the abolition of slavery. The trip is described in the short travelogue American Notes for General Circulation and is also the basis of some of the episodes in Martin Chuzzlewit. Dickens includes in Notes a powerful condemnation of slavery, with "ample proof" of the "atrocities" he found. He called upon President John Tyler at the White House. During this visit, Dickens spent time in New York City, where he gave lectures, raised support for copyright laws, and recorded many of his impressions of America. He toured the City for a month, and met such luminaries as Washington Irving and William Cullen Bryant. On 14 February 1842, a Boz Ball (named after his pseudonym) was held in his honour at the Park Theater, with 3,000 of New York�s elite present. Among the neighbourhoods he visited were Five Points, Wall Street, The Bowery, and the prison known as The Tombs. At this time Georgina Hogarth, another sister of Catherine, joined the Dickens household, now living at Devonshire Terrace, Marylebone, to care for the young family they had left behind. She remained with them as housekeeper, organiser, adviser and friend until her brother-in-law's death in 1870. Shortly thereafter, he began to show interest in Unitarian Christianity, although he remained an Anglican, at least nominally, for the rest of his life. 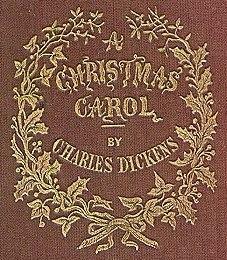 Dickens's work continued to be popular, especially A Christmas Carol written in 1843, the first of his Christmas books, which was reputedly a potboiler written in a matter of weeks to meet the expenses of his wife's fifth pregnancy. After living briefly abroad in Italy (1844) and Switzerland (1846), Dickens continued his success with Dombey and Son (1848); David Copperfield (1849�50). In May 1846, Angela Burdett Coutts, the wealthy heir to the Coutts banking fortune, approached Dickens about setting up a home for the redemption of "fallen" women. Coutts envisioned a home that would offer a different approach to other organizations that offered a harsh and punishing regimen for these women, and instead provide a disciplined but supportive environment where they could learn to read and write and become proficient in domestic household chores so as to re-integrate them into society gently. 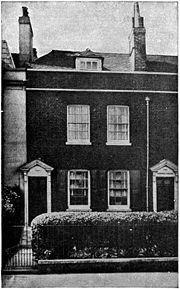 After initially resisting, Dickens eventually founded the home, named Urania Cottage, in the Lime Grove section of Shepherds Bush. He would end up becoming involved in many aspects of its day-to-day running, setting the house rules, reviewing the accounts and also interviewing prospective residents, some of whom became characters in his books. He would scour prisons and workhouses for potentially suitable candidates and relied on friends, such as the Magistrate John Hardwick to bring them to his attention. Once found, each potential candidate was given an anonymous printed invitation written by Dickens called �An Appeal to Fallen Women�, which he signed only as �Your friend�. If the woman accepted the invitation, Dickens would personally interview her and decide if she could be admitted to the home. In late November 1851, Dickens moved into Tavistock House where he would write Bleak House (1852�53), Hard Times (1854) and Little Dorrit (1857). It was here he got up the amateur theatricals which are described in Forster's Life. In 1856, his income from his writing had allowed him to buy Gad's Hill Place. This large house in Higham, Kent, had a particular meaning to Dickens as he had walked past it as a child and had dreamed of living in it. The area was also the scene of some of the events of Shakespeare's Henry IV, Part 1 and this literary connection pleased him. In 1857, in preparation for public performances of The Frozen Deep, a play on which he and his prot�g� Wilkie Collins had collaborated, Dickens hired professional actresses to play the female parts. With one of these, Ellen Ternan, Dickens formed a bond which was to last the rest of his life. When he separated from his wife, Catherine, in 1858, divorce was almost unthinkable, particularly for someone as famous as he was, and he financially supported her long afterwards. Although they appeared to be initially happy together, Catherine did not seem to share quite the same boundless energy for life which Dickens had. Nevertheless, her job of looking after their ten children, the pressure of living with a world-famous novelist, and keeping house for him, certainly did not help. An indication of his marital dissatisfaction may be seen when, in 1855, he went to meet his first love, Maria Beadnell. Maria was by this time married as well, but seemed to have fallen short of Dickens's romantic memory of her. During this period, whilst pondering about giving public readings for his own profit, Dickens was approached by Great Ormond Street Hospital to help it survive its first major financial crisis through a charitable appeal. Dickens, whose philanthropy was well-known, was asked to preside by the hospital's founder Charles West, who happened to be a friend of the author's. He threw himself into the task, heart and soul (a little known fact is that Dickens reported anonymously in the weekly The Examiner in 1849 to help mishandled children and wrote another article to help publicise the hospital's opening in 1852). 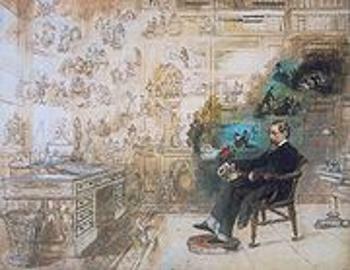 On 9 February 1858, Dickens spoke at the hospital's first annual festival dinner at Freemasons' Hall and later gave a public reading of A Christmas Carol at St. Martin-in-the-Fields church hall. The events raised enough money to enable the hospital to purchase the neighbouring house, No. 48 Great Ormond Street, increasing the bed capacity from 20 to 75. 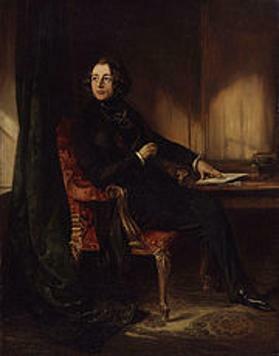 That summer of 1858, after separating from his wife, Dickens would undertake his first series of public readings in London for pay which ended on 22 July. After a mere 10 days rest, however, he began a gruelling and ambitious tour, which would take him through the English provinces, Scotland and Ireland, beginning with a performance in Clifton on 2 August and closing in Brighton, more than three months later, on 13 November. Altogether he was scheduled to read eighty-seven times, on some days giving both a matin�e and an evening performance. Major works, A Tale of Two Cities (1859); and Great Expectations (1861) soon followed and would prove resounding successes with both his critics and his fans. During this time he was also the publisher and editor of, and a major contributor to, the journals Household Words (1850�1859) and All the Year Round (1858�1870). A recurring theme in Dickens's writing, both as reportage for these publications and as an inspiration for his fiction, reflected the public's interest in Arctic exploration: the heroic friendship between explorers John Franklin and John Richardson gave the idea for A Tale of Two Cities, The Wreck of the Golden Mary and the play The Frozen Deep. In early September 1860, in a field behind Gad's Hill, Dickens made a great bonfire of nearly his entire correspondence. Only those letters on business matters were spared. Since Ellen Ternan burned all of his letters as well, the dimensions of the affair between the two were unknown until the publication of Dickens and Daughter, a book about Dickens's relationship with his daughter Kate, in 1939. Kate Dickens worked with author Gladys Storey on the book prior to her death in 1929, and alleged that Dickens and Ternan had a son who died in infancy, though no contemporary evidence exists. On his death, Dickens settled an annuity on Ternan which made her a financially independent woman. Claire Tomalin's book, The Invisible Woman, set out to prove that Ternan lived with Dickens secretly for the last 13 years of his life, and was subsequently turned into a play, Little Nell, by Simon Gray. After Franklin died in unexplained circumstances on an expedition to find the North West Passage it was natural for Dickens to write a piece in Household Words defending his hero against the discovery in 1854, some four years after the search began, of evidence that Franklin's men had, in their desperation, resorted to cannibalism. Without adducing any supporting evidence he speculates that, far from resorting to cannibalism amongst themselves, the members of the expedition may have been "set upon and slain by the Esquimaux...We believe every savage to be in his heart covetous, treacherous, and cruel." Although publishing in a subsequent issue of Household Words a defence of the Esquimaux, written by John Rae, one of Franklin's rescue parties, who had actually visited the scene of the supposed cannibalism, Dickens refused to alter his view. On 9 June 1865, while returning from Paris with Ternan, Dickens was involved in the Staplehurst rail crash in which the first seven carriages of the train plunged off a cast iron bridge that was being repaired. The only first-class carriage to remain on the track was the one in which Dickens was travelling. Dickens spent some time trying to help the wounded and the dying before rescuers arrived. Before leaving, he remembered the unfinished manuscript for Our Mutual Friend, and he returned to his carriage to retrieve it. 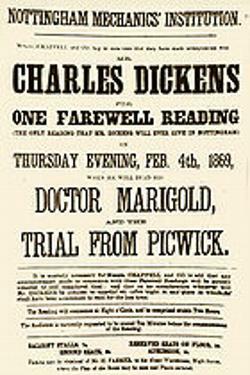 Typically, Dickens later used this experience as material for his short ghost story The Signal-Man in which the central character has a premonition of his own death in a rail crash. 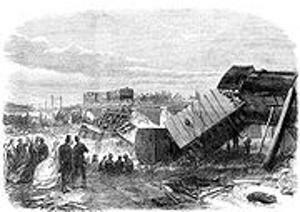 He based the story around several previous rail accidents, such as the Clayton Tunnel rail crash of 1861. Dickens managed to avoid an appearance at the inquest into the crash, as it would have become known that he was travelling that day with Ternan and her mother, which could have caused a scandal. Although unharmed, Dickens never really recovered from the Staplehurst crash, and his normally prolific writing shrank to completing Our Mutual Friend and starting the unfinished The Mystery of Edwin Drood after a long interval. Much of his time was taken up with public readings from his best-loved novels. Dickens was fascinated by the theatre as an escape from the world, and theatres and theatrical people appear in Nicholas Nickleby. 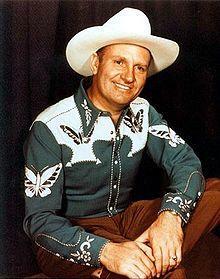 The travelling shows were extremely popular. 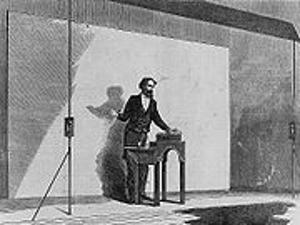 In 1866, a series of public readings were undertaken in England and Scotland. The following year saw more readings in England and Ireland. On 9 November 1867, Dickens sailed from Liverpool embarking on his second American reading tour, which continued into 1868. Landing at Boston on 19 November, he devoted the rest of the month to a round of dinners there with such notables as Ralph Waldo Emerson, Henry Wadsworth Longfellow and his American publisher James Thomas Fields. In early December, the readings began and Dickens spent the month shuttling between Boston and New York. Although he had started to suffer from what he called the "true American catarrh", he kept to a schedule that would have challenged a much younger man, even managing to squeeze in some sleighing in Central Park. In New York, he gave 22 readings at Steinway Hall between 9 December 1867 and 18 April 1868, and four at Plymouth Church of the Pilgrims between 16 January and 21 January 1868. During his travels, he saw a significant change in the people and the circumstances of America. His final appearance was at a banquet the American Press held in his honour at Delmonico�s on 18 April, when he promised to never denounce America again. By the end of the tour, the author could hardly manage solid food, subsisting on champagne and eggs beaten in sherry. On 23 April, he boarded his ship to return to Britain, barely escaping a Federal Tax Lien against the proceeds of his lecture tour. On 8 June 1870, Dickens suffered another stroke at his home, after a full day's work on Edwin Drood. The next day, on 9 June, and five years to the day after the Staplehurst crash, he died at Gad's Hill Place never having regained consciousness. The great author was mourned by all his readers. Contrary to his wish to be buried at Rochester Cathedral "in an inexpensive, unostentatious, and strictly private manner", he was laid to rest in the Poets' Corner of Westminster Abbey. The inscription on his tomb reads: "CHARLES DICKENS Born 7th February 1812 Died 9th June 1870." A printed epitaph circulated at the time of the funeral reads: "To the Memory of Charles Dickens (England's most popular author) who died at his residence, Higham, near Rochester, Kent, June 9th, 1870, aged 58 years. He was a sympathiser with the poor, the suffering, and the oppressed; and by his death, one of England's greatest writers is lost to the world. 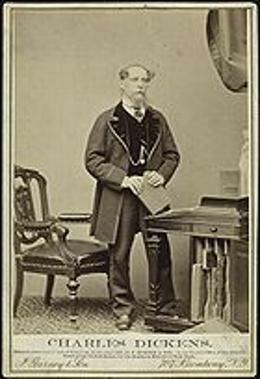 "On Sunday, 19 June 1870, five days after Dickens's interment in the Abbey, Dean Arthur Penrhyn Stanley delivered a memorial elegy, lauding "the genial and loving humorist whom we now mourn", for showing by his own example "that even in dealing with the darkest scenes and the most degraded characters, genius could still be clean, and mirth could be innocent." Pointing to the fresh flowers that adorned the novelist's grave, Stanley assured those present that "the spot would thenceforth be a sacred one with both the New World and the Old, as that of the representative of literature, not of this island only, but of all who speak our English tongue. "Dickens's will stipulated that no memorial be erected to honour him. 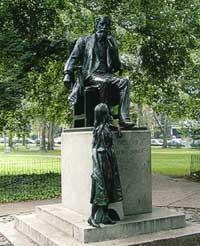 The only life-size bronze statue of Dickens, cast in 1891 by Francis Edwin Elwell, is located in Clark Park in the Spruce Hill neighbourhood of Philadelphia, Pennsylvania in the United States. His writing style is florid and poetic, with a strong comic touch. 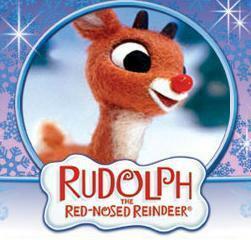 His satires of British aristocratic snobbery�he calls one character the "Noble Refrigerator"�are often popular. Comparing orphans to stocks and shares, people to tug boats, or dinner-party guests to furniture are just some of Dickens's acclaimed flights of fancy. Many of his characters' names provide the reader with a hint as to the roles played in advancing the storyline, such as Mr. Murdstone in the novel David Copperfield, which is clearly a combination of "murder" and stony coldness. His literary style is also a mixture of fantasy and realism. Dickens is famed for many things�his depiction of the hardships of the working class, his intricate plots, his sense of humour. But he is perhaps most famed for the characters he created. His novels were heralded early in his career for their ability to capture the everyday man on paper and thus create a memorable character to whom readers could relate, and envision as a real person. Beginning with Pickwick Papers in 1836, Dickens wrote numerous novels, each uniquely filled with believable personalities and vivid physical descriptions. Dickens's friend and biographer, John Forster, said that Dickens made "characters real existences, not by describing them but by letting them describe themselves. "Dickensian characters�especially their typically whimsical names�are among the most memorable in English literature. The likes of Ebenezer Scrooge, Tiny Tim, Jacob Marley, Bob Cratchit, Oliver Twist, The Artful Dodger, Fagin, Bill Sikes, Pip, Miss Havisham, Charles Darnay, David Copperfield, Mr. Micawber, Abel Magwitch, Daniel Quilp, Samuel Pickwick, Wackford Squeers, Uriah Heep and many others are so well known and can be believed to be living a life outside the novels that their stories have been continued by other authors.The author worked closely with his illustrators supplying them with an overall summary of the work at the outset and thus ensuring that his vision of his characters and settings were exactly how he envisioned them to be. He would brief the illustrator on plans for each month's instalment so that work on the two illustrations could begin before he wrote them. Marcus Stone, illustrator of Our Mutual Friend, recalled that the author was always "ready to describe down to the minutest details the personal characteristics, and ... life-history of the creations of his fancy. "This close working relationship with his illustrators is important to readers of Dickens today. The illustrations give us a glimpse of the characters as Dickens described them to the illustrator and approved when the drawing was finished. Film makers still use the illustrations as a basis for characterization, costume, and set design in the dramatization of Dickens's works.Often these characters were based on people that he knew. In a few instances Dickens based the character too closely on the original and got into trouble, as in the case of Harold Skimpole in Bleak House, based on Leigh Hunt, and Miss Mowcher in David Copperfield| based on his wife's dwarf chiropodist. These are not over-dramatized caricatures, but believable people we might see walking down the street. Indeed, the acquaintances made when reading a Dickens novel are not easily forgotten. The author, Virginia Woolf, maintained that "we remodel our psychological geography when we read Dickens" as he produces "characters who exist not in detail, not accurately or exactly, but abundantly in a cluster of wild yet extraordinarily revealing remarks." All authors might be said to incorporate autobiographical elements in their fiction, but with Dickens this is very noticeable, even though he took pains to mask what he considered his shameful, lowly past. David Copperfield is one of the most clearly autobiographical but the scenes from Bleak House of interminable court cases and legal arguments are drawn from the author's brief career as a court reporter. Dickens's own father was sent to prison (where he was joined by his wife and younger children) for debt, and this became a common theme in many of his books, with the detailed depiction of life in the Marshalsea prison in Little Dorrit resulting from Dickens's own experiences of the institution. Little Nell in The Old Curiosity Shop is thought to represent Dickens's sister-in-law, William Dorrit, Nicholas Nickleby's father and Wilkins Micawber are certainly Dickens's own father, just as Mrs. Nickleby and Mrs. Micawber are similar to his mother. The snobbish nature of Pip from Great Expectations also has some affinity to the author himself. Childhood sweethearts in many of his books (such as Little Eml�y in David Copperfield) may have been based on Dickens� own childhood infatuation with Lucy Stroughill. Dickens may have drawn on his childhood experiences, but he was also ashamed of them and would not reveal that this was where he gathered his realistic accounts of squalor. Very few knew the details of his early life until six years after his death when John Forster published a biography on which Dickens had collaborated. A shameful past in Victorian times could taint reputations, just as it did for some of his characters, and this may have been Dickens's own fear. As noted above, most of Dickens's major novels were first written in monthly or weekly instalments in journals such as Master Humphrey's Clock and Household Words, later reprinted in book form. These instalments made the stories cheap, accessible and the series of regular cliff-hangers made each new episode widely anticipated. American fans even waited at the docks in New York, shouting out to the crew of an incoming ship, "Is Little Nell dead?" Part of Dickens's great talent was to incorporate this episodic writing style but still end up with a coherent novel at the end. The monthly numbers were illustrated by, amongst others, "Phiz" (a pseudonym for Hablot Browne). Among his best-known works are Great Expectations, David Copperfield, Oliver Twist, A Tale of Two Cities, Bleak House, Nicholas Nickleby, The Pickwick Papers, and A Christmas Carol. Dickens's technique of writing in monthly or weekly instalments (depending on the work) can be understood by analysing his relationship with his illustrators. The several artists who filled this role were privy to the contents and intentions of Dickens's instalments before the general public. Thus, by reading these correspondences between author and illustrator, the intentions behind Dickens's work can be better understood. What was hidden in his art is made plain in these letters. These also reveal how the interests of the reader and author do not coincide. A great example of that appears in the monthly novel Oliver Twist. At one point in this work, Dickens had Oliver become embroiled in a robbery. That particular monthly instalment concludes with young Oliver being shot. Readers expected that they would be forced to wait only a month to find out the outcome of that gunshot. In fact, Dickens did not reveal what became of young Oliver in the succeeding number. Rather, the reading public was forced to wait two months to discover if the boy lived. Another important impact of Dickens's episodic writing style resulted from his exposure to the opinions of his readers. Since Dickens did not write the chapters very far ahead of their publication, he was allowed to witness the public reaction and alter the story depending on those public reactions. A fine example of this process can be seen in his weekly serial The Old Curiosity Shop, which is a chase story. In this novel, Little Nell and her Grandfather are fleeing the villain Quilp. The progress of the novel follows the gradual success of that pursuit. As Dickens wrote and published the weekly instalments, his friend John Forster pointed out: "You know you're going to have to kill her, don't you?" Why this end was necessary can be explained by a brief analysis of the difference between the structure of a comedy versus a tragedy. In a comedy, the action covers a sequence "You think they're going to lose, you think they're going to lose, they win". In tragedy, it is: "You think they're going to win, you think they're going to win, they lose". The dramatic conclusion of the story is implicit throughout the novel. So, as Dickens wrote the novel in the form of a tragedy, the sad outcome of the novel was a foregone conclusion. If he had not caused his heroine to lose, he would not have completed his dramatic structure. Dickens admitted that his friend Forster was right and, in the end, Little Nell died. 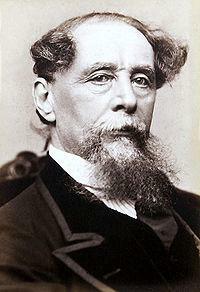 Dickens's novels were, among other things, works of social commentary. He was a fierce critic of the poverty and social stratification of Victorian society. Dickens's second novel, Oliver Twist (1839), shocked readers with its images of poverty and crime and was responsible for the clearing of the actual London slum that was the basis of the story, Jacob's Island. In addition, with the character of the tragic prostitute, Nancy, Dickens "humanised" such women for the reading public; women who were regarded as "unfortunates," inherently immoral casualties of the Victorian class/economic system. Bleak House and Little Dorrit elaborated expansive critiques of the Victorian institutional apparatus: the interminable lawsuits of the Court of Chancery that destroyed people's lives in Bleak House and a dual attack in Little Dorrit on inefficient, corrupt patent offices and unregulated market speculation. Dickens is often described as using 'idealised' characters and highly sentimental scenes to contrast with his caricatures and the ugly social truths he reveals. The story of Nell Trent in The Old Curiosity Shop (1841) was received as incredibly moving by contemporary readers but viewed as ludicrously sentimental by Oscar Wilde:"You would need to have a heart of stone", he declared in one of his famous witticisms, "not to laugh at the death of Little Nell." (although her death actually takes place off-stage). In 1903 G. K. Chesterton said, "It is not the death of Little Nell, but the life of Little Nell, that I object to. "In Oliver Twist Dickens provides readers with an idealised portrait of a young boy so inherently and unrealistically 'good' that his values are never subverted by either brutal orphanages or coerced involvement in a gang of young pickpockets. While later novels also centre on idealised characters (Esther Summerson in Bleak House and Amy Dorrit in Little Dorrit), this idealism serves only to highlight Dickens's goal of poignant social commentary. Many of his novels are concerned with social realism, focusing on mechanisms of social control that direct people's lives (for instance, factory networks in Hard Times and hypocritical exclusionary class codes in Our Mutual Friend).Dickens also employs incredible coincidences (e.g., Oliver Twist turns out to be the lost nephew of the upper class family that randomly rescues him from the dangers of the pickpocket group). Such coincidences are a staple of eighteenth century picaresque novels such as Henry Fielding's Tom Jones that Dickens enjoyed so much. But, to Dickens, these were not just plot devices but an index of the humanism that led him to believe that good wins out in the end and often in unexpected ways. Although his popularity has waned a little since his death, he continues to be one of the best known and most read of English authors. At least 180 motion pictures and TV adaptations based on Dickens's works help confirm his success. Many of his works were adapted for the stage during his own lifetime and as early as 1913 a silent film of The Pickwick Papers was made. His characters were often so memorable that they took on a life of their own outside his books. Gamp became a slang expression for an umbrella from the character Mrs. Gamp and Pickwickian, Pecksniffian, and Gradgrind all entered dictionaries due to Dickens's original portraits of such characters who were quixotic, hypocritical, or emotionlessly logical. Sam Weller, the carefree and irreverent valet of The Pickwick Papers, was an early superstar, perhaps better known than his author at first. It is likely that A Christmas Carol stands as his best-known story, with new adaptations almost every year. 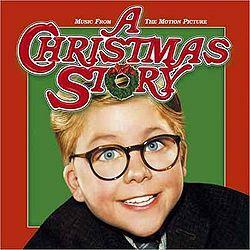 It is also the most-filmed of Dickens's stories, with many versions dating from the early years of cinema. This simple morality tale with both pathos and its theme of redemption, sums up (for many) the true meaning of Christmas. Indeed, it eclipses all other Yuletide stories in not only popularity, but in adding archetypal figures (Scrooge, Tiny Tim, the Christmas ghosts) to the Western cultural consciousness. Prominent phrases from the novel, 'Bah! Humbug! ', and 'Merry Christmas', entered the English language. Novelist William Makepeace Thackeray, called the book; "a national benefit, and to every man and woman who reads it a personal kindness". Some historians claim the book significantly redefined the "spirit" and importance of Christmas, and initiated a rebirth of seasonal merriment after Puritan authorities in 17th century England and America suppressed pagan rituals associated with the holiday. A Christmas Carol was written by Dickens in an attempt to forestall financial disaster as a result of flagging sales of his novel Martin Chuzzlewit. Years later, Dickens shared that he was "deeply affected" in writing A Christmas Carol. The novel rejuvenated his career as a renowned author. At a time when Britain was the major economic and political power of the world, Dickens highlighted the life of the forgotten poor and disadvantaged at the heart of empire. Through his journalism he campaigned on specific issues�such as sanitation and the workhouse�but his fiction probably demonstrated its greatest prowess in changing public opinion in regard to class inequalities. He often depicted the exploitation and repression of the poor and condemned the public officials and institutions that not only allowed such abuses to exist, but flourished as a result. His most strident indictment of this condition is in Hard Times (1854), Dickens's only novel-length treatment of the industrial working class. In this work, he uses both vitriol and satire to illustrate how this marginalised social stratum was termed "Hands" by the factory owners; that is, not really "people" but rather only appendages of the machines that they operated. His writings inspired others, in particular journalists and political figures, to address such problems of class oppression. For example, the prison scenes in The Pickwick Papers are claimed to have been influential in having the Fleet Prison shut down. As Karl Marx said, Dickens, and the other novelists of Victorian England, "...issued to the world more political and social truths than have been uttered by all the professional politicians, publicists and moralists put together...". The exceptional popularity of his novels, even those with socially oppositional themes (Bleak House, 1853; Little Dorrit, 1857; Our Mutual Friend, 1865) underscored not only his almost preternatural ability to create compelling storylines and unforgettable characters, but also ensured that the Victorian public confronted issues of social justice that had commonly been ignored. His fiction, with often vivid descriptions of life in nineteenth century England, has inaccurately and anachronistically come to symbolise on a global level Victorian society (1837 � 1901) as uniformly "Dickensian", when in fact, his novels' time span spanned from the 1770s to the 1860s. In the decade following his death in 1870, a more intense degree of socially and philosophically pessimistic perspectives invested British fiction; such themes stood in marked contrast to the religious faith that ultimately held together even the bleakest of Dickens's novels. Dickens clearly influenced later Victorian novelists such as Thomas Hardy and George Gissing; however, their works display a greater willingness to confront and challenge the Victorian institution of religion. They also portray characters caught up by social forces (primarily via lower-class conditions), but they usually steered them to tragic ends beyond their control. Novelists continue to be influenced by his books; for instance, such disparate current writers as Anne Rice, Tom Wolfe, and John Irving evidence direct Dickensian connections. Humorist James Finn Garner even wrote a tongue-in-cheek "politically correct" version of A Christmas Carol, and other affectionate parodies include the Radio 4 comedy Bleak Expectations. Matthew Pearl's novel The Last Dickens is a thriller about how Charles Dickens would have ended Edwin Drood. Although Dickens's life has been the subject of at least two TV miniseries and two famous one-man shows, he has never been the subject of a Hollywood "big screen" biography. Paul Vallely writes in The Independent that Dickens's Fagin in Oliver Twist�the Jew who runs a school in London for child pickpockets�is widely seen as one of the most grotesque Jews in English literature, and the most vivid of Dickens's 989 characters. The mud lay thick upon the stones, and a black mist hung over the streets; the rain fell sluggishly down, and everything felt cold and clammy to the touch. It seemed just the night when it befitted such a being as the Jew to be abroad. As he glided stealthily along, creeing beneath the shelter of the walls and doorways, the hideous old man seemed like some loathsome reptile, engendered in the slime and darkness through which he moved, crawling forth by night in search of some rich offal for a meal. The novel refers to Fagin 257 times in the first 38 chapters as "the Jew," while the ethnicity or religion of the other characters is not mentioned. In 1854, the Jewish Chronicle asked why "Jews alone should be excluded from the 'sympathizing heart' of this great author and powerful friend of the oppressed." Eliza Davis, whose husband had purchased Dickens's home in 1860 when he had put it up for sale, wrote to Dickens in protest at his portrayal of Fagin, arguing that he had "encouraged a vile prejudice against the despised Hebrew," and that he had done a great wrong to the Jewish people. Dickens had described her husband at the time of the sale as a "Jewish moneylender," though also someone he came to know as an honest gentleman. Dickens took her complaint seriously. He halted the printing of Oliver Twist, and changed the text for the parts of the book that had not been set, which is why Fagin is called the Jew 257 times in the first 38 chapters, but barely at all in the next 179 references to him. In his next novel, Our Mutual Friend, he created the character of Riah (meaning "friend" in Hebrew), whose goodness, Vallely writes, is almost as complete as Fagin's evil. Riah says in the novel: "Men say, 'This is a bad Greek, but there are good Greeks. This is a bad Turk, but there are good Turks.' Not so with the Jews ... they take the worst of us as samples of the best ..." Davis sent Dickens a copy of the Hebrew bible in gratitude. In The Perils of Certain English Prisoners Dickens offers an allegory of the Indian Mutiny, where the "native Sambo", a perverted paradigm of the Indian mutineers is a "double-dyed traitor, and a most infernal villain" who takes part in a massacre of women and children, in an allusion to the Cawnpore Massacre. Perils greatly influenced the cultural reaction from English writers to the mutiny, by attributing guilt so as to portray the imperialist dominators as victims, and the dominated as villains. Wilkie Collins, who co-wrote Perils, deviates from Dickens's extremism, writing the second chapter from a less biased point of view who, quoting poet Jaya Mehta, was "parodying British racism, instead of promoting it". Contemporary literary critic Arthur Quiller-Couch praised Dickens for eschewing any real-life depiction of the incident, for fear of inflaming his "raging mad" readership further, in favour of a romantic story "empty of racial or propagandist hatred". A modern inference is that it was his son's position in India, there on military service, at the mercy of inept imperial leaders who misunderstood conquered people, that may have influenced his reluctance to set Perils in India, for fear that his criticism may antagonise the son's superiors. I wish I were the Commander in Chief in India. ... I should do my utmost to exterminate the Race upon whom the stain of the late cruelties rested... to blot it out of mankind and raze it off the face of the earth." Charles Dickens had, as a contemporary critic put it, a "queer name" The name Dickens was used in interjective exclamations like "What the Dickens!" as a substitute for "devil". It was recorded in the OED as originating from Shakespeare's The Merry Wives of Windsor. It was also used as a substitute for "deuce" as in the phrase "to play the Dickens" in the meaning "to play havoc/mischief". 'Boz' was Dickens' occasional pen-name, but was a familiar name in the Dickens household long before Charles became a famous author. It was actually taken from his youngest brother Augustus Dickens' family nickname 'Moses', given to him in honor of one of the brothers in The Vicar of Wakefield (one of the most widely read novels during the early 19th century). When playfully pronounced through the nose 'Moses' became 'Boses', and was later shortened to 'Boz' - pronounced through the nose with a long vowel 'o'. There have been several performances of Dickens readings by Emlyn Williams, Bransby Williams, Clive Francis performing the John Mortimer adaptation of A Christmas Carol and also Simon Callow in the Mystery of Charles Dickens by Peter Ackroyd. The Charles Dickens Museum, in Doughty Street, Holborn is the only one of Dickens's London homes to survive. He lived there only two years but in that time wrote The Pickwick Papers, Oliver Twist, and Nicholas Nickleby. It contains a major collection of manuscripts, original furniture and memorabilia. Charles Dickens Birthplace Museum in Portsmouth is the house in which Dickens was born. It has been re-furnished in the likely style of 1812 and contains Dickens memorabilia. The Dickens House Museum in Broadstairs, Kent is the house of Miss Mary Pearson Strong, the basis for Miss Betsey Trotwood in David Copperfield. It is visible across the bay from the original Bleak House (also a museum until 2005) where David Copperfield was written. The museum contains memorabilia, general Victoriana and some of Dickens's letters. Broadstairs has held a Dickens Festival annually since 1937. The Charles Dickens Centre in Eastgate House, Rochester, closed in 2004, but the garden containing the author's Swiss chalet is still open. The 16th century house, which appeared as Westgate House in The Pickwick Papers and the Nun's House in Edwin Drood, is now used as a wedding venue. 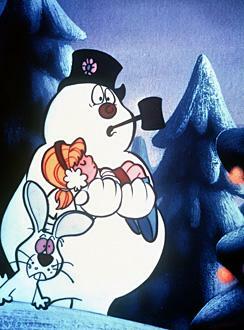 The city's annual Dickens Festival (summer) and Dickensian Christmas celebrations continue unaffected. Dickens World themed attraction, covering 71,500 square feet (6,643 m2), and including a cinema and restaurants, opened in Chatham on 25 May 2007. It stands on a small part of the site of the former naval dockyard where Dickens's father had once worked in the Navy Pay Office. Dickens Festival in Rochester, Kent. Summer Dickens is held at the end of May or in the first few days of June, it commences with an invitation only ball on the Thursday and then continues with street entertainment, and many costumed characters, on the Friday, Saturday and Sunday. Christmas Dickens is the first weekend in December- Saturday and Sunday only. The Great Dickens Christmas Fair <http://www.dickensfair.com/> has been held in San Francisco, California, since the 1970s. During the four or five weekends before Christmas, over 500 costumed performers mingle with and entertain thousands of visitors amidst the recreated full-scale blocks of Dickensian London in over 90,000 square feet (8,000 m2) of public area. This is the oldest, largest, and most successful of the modern Dickens festivals outside England. Many (including the Martin Harris who acts in the Rochester festival and flies out from London to play Scrooge every year in SF) say it is the most impressive in the world. Dickens on The Strand in Galveston, Texas, is a holiday festival held on the first weekend in December since 1974, where bobbies, Beefeaters and the "Queen" herself are on hand to recreate the Victorian London of Charles Dickens. Many festival volunteers and attendees dress in Victorian attire and bring the world of Dickens to life. The Greater Port Jefferson-Northern Brookhaven Arts Council <http://www.gpjac.org> holds a Dickens Festival in the Village of Port Jefferson, NY each year. In 2009, the Dickens Festival is 4 December, 5 December and 6 December. It includes many events, along with a troupe of street performers who bring an authentic Dickensian atmosphere to the town. Charles Dickens was commemorated on the Series E �10 note issued by the Bank of England which was in circulation in the UK between 1992 and 2003. Dickens appeared on the reverse of the note accompanied by a scene from The Pickwick Papers. Charles Dickens published over a dozen major novels, a large number of short stories (including a number of Christmas-themed stories), a handful of plays, and several non-fiction books. Dickens's novels were initially serialised in weekly and monthly magazines, then reprinted in standard book formats. ^ "What the Dickens? ", by Simon Swift. The Guardian, Wednesday 18 April 2007. "Dickens's books have never gone out of print." ^ "Victorian squalor and hi-tech gadgetry: Dickens World to open in England", Bloomberg News, 23 May 2007. ^ Henry James, "Our Mutual Friend", The Nation, 21 December 1865. ^ "John Forster, ''The Life of Charles Dickens'', Book 1, Chapter 1" (in (Japanese)). Lang.nagoya-u.ac.jp. http://lang.nagoya-u.ac.jp/~matsuoka/CD-Forster-1.html. Retrieved 2009-07-24. ^ Jordan, John (2001). "Chronology". The Cambridge companion to Charles Dickens. Cambridge, England: Cambridge University Press. p. xvi. ISBN 0-521-66964-2. ^ Pope-Hennessy, Una (1945). "The Family Background". Charles Dickens 1812-1870. London: Chatto and Windus. p. 11. 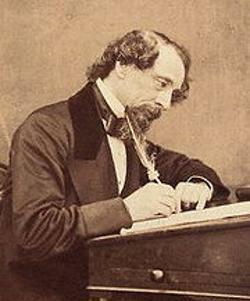 ^ ""Charles Dickens", accessed 15 November 2007". Enotes.com. http://www.enotes.com/authors/charles-dickens. Retrieved 2009-07-24. ^ Bowen, John (2004). "Dickens's Black Atlantic". Dickens and empire: discourses of class, race and colonialism in the works of Charles Dickens. Farnham, England: Ashgate. p. 53. ISBN 978-0-7546-3412-6. ^ Dickens, Charles (1842). "Slavery". American Notes for General Circulation. London: Chapman and Hall. pp. 94�100. OCLC 41667089. ^ a b Kenneth T. Jackson: The Encyclopedia of New York City: The New York Historical Society; Yale University Press; 1995. P. 333. ^ Jones, Richard (2004). Walking Dickensian London. London: New Holland. p. 7. ISBN 9781843304838. ^ "Charles Dickens". Uua.org. 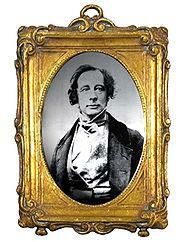 http://www.uua.org/uuhs/duub/articles/charlesdickens.html. Retrieved 2009-07-24. ^ 'The Letters of Charles Dickens', Pilgrim Edition, Vol. VII, p.527. ^ "Tavistock House | British History Online". British-history.ac.uk. 2003-06-22. http://www.british-history.ac.uk/report.aspx?compid=65184. Retrieved 2009-07-24. ^ "Charles Dickens' Work to Help Establish Great Ormond Street Hospital, London." by Sir Howard Markel, The Lancet, 21 Aug, p 673. ^ Glancy, Ruth F (2006). "The Frozen Deep and other Biographical Influences". Charles Dickens's A Tale Of Two Cities: A Sourcebook. Abingdon, England: Routledge. pp. 14. ISBN 0415287596. ^ Tomalin (1995). "The Invisible Woman: The Story of Charles Dickens and Nelly Ternan". http://www.laits.utexas.edu/farrell/documents/Dickens%20and%20Ternan.pdf. Retrieved 2009-03-13. 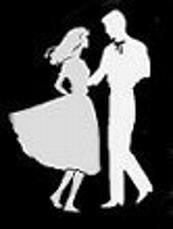 ^ "History of the Ghost Club". http://www.ghostclub.org.uk/history.htm. Retrieved 2009-07-30. ^ a b Dickens, Charles (1854-12-02). "The Lost Arctic Voyagers". Household Words: A Weekly Journal (London: Charles Dickens) 10 (245): 361 et sec. http://books.google.com/books?id=DOQRAAAAYAAJ&pg=PA433&dq=%22Charles+Dickens%22+esquimaux&ei=zKtvSP_4H6HQjgGJvPDbAQ&client=firefox-a#PPA361,M1. Retrieved 2008-07-05. ^ Rae, John (1854-12-30). "Dr Rae's report". Household Words: A Weekly Journal (London: Charles Dickens) 10 (249): 457�458. http://books.google.com/books?id=DOQRAAAAYAAJ&pg=PA433&dq=%22Charles+Dickens%22+esquimaux&ei=zKtvSP_4H6HQjgGJvPDbAQ&client=firefox-a#PPA458,M1. Retrieved 2008-08-16. ^ "New York Public Library / The Great Magician Vanishes". Nypl.org. http://www.nypl.org/research/chss/spe/brg/lifeofauthor/6magician.html. Retrieved 2009-07-24. ^ Staff writers (2007). "Charles Dickens". History. The Dean and Chapter of Westminster Abbey. http://www.westminster-abbey.org/our-history/people/charles-dickens. Retrieved 2009-07-12. "A small stone with a simple inscription marks the grave of this famous English novelist in Poets' Corner: 'Charles Dickens Born 7th February 1812 Died 9th June 1870' "
^ "Printed at J. H. Woodley's Funeral Tablet Office, 30 Fore Street, City, London." and reproduced on page 4, A Christmas Carol Study Guide by Patti Kirkpatrick, Education Department, Dallas Theater Center. ^ HP-Time.com;Christopher Porterfield (1970-12-28). "Boz Will Be Boz - TIME". TIME. http://www.time.com/time/magazine/article/0,9171,944281,00.html. Retrieved 2009-07-24. ^ "A Dickens of a fuss - theage.com.au". Theage.com.au. 2003-06-29. http://www.theage.com.au/articles/2003/06/27/1056683893671.html. Retrieved 2009-07-24. ^ In conversation with Ada Leverson. Quoted in Richard Ellmann, Oscar Wilde (New York: Alfred A. Knopf, 1988), p. 469. ^ Richard Michael Kelly. A Christmas Carol. Broadview Press, 2003. ^ Marx, Karl (1 August 1954). "The English Middle Classes". New York Tribune. Marxists Internet Archive. http://marxists.org/archive/marx/works/1854/08/01.htm. Retrieved 2007-06-10. ^ a b c Vallely, Paul. Dickens' greatest villain: The faces of Fagin, October 7, 2005. 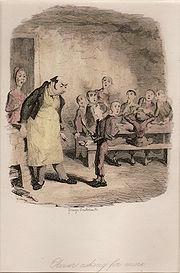 ^ Oliver Twist, Hurd and Houghton, 1867, chapter 19, pp. 221�222. ^ Rutland, Suzanne D. The Jews in Australia. Cambridge University Press, 2005, p. 19. ISBN 9780521612852; Newey, Vincent. The Scriptures of Charles Dickens. ^ a b Stewart, Nicholas; Litvak, Dr. Leon. ""The Perils of Certain English Prisoners": Dickens' Defensive Fantasy of Imperial Stability". 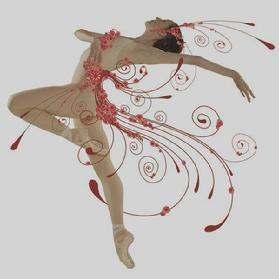 School of English, Queens University of Belfast.. http://www.qub.ac.uk/schools/SchoolofEnglish/imperial/india/perils.htm. Retrieved 2009, September 22. ^ Pionke, Albert D. (2004). Plots of opportunity: Representing conspiracy in Victorian England. Columbus: The Ohio State University Press. pp. 91. http://books.google.com/books?id=OH6ml-qUK7sC&lpg=PA91&ots=eavwpffv4X&dq=Perils%20pionke%20dickens%20racism&pg=PA91#v=onepage&q=&f=false. ^ Harrison, Kimberly; Fantina Richard (2006). Victorian sensations: essays on a scandalous genre By Kimberly Harrison, Richard Fantina. pp. 227. http://books.google.com/books?id=sNb7_TGlBykC&lpg=PA227&dq=Racism%20in%20Perils%20of%20certain%20english%20prisoners&pg=PA227#v=onepage&q=Racism%20in%20Perils%20of%20certain%20english%20prisoners&f=false. ^ Quiller-Couch, Arthur (1925). Charles Dickens and Other Victorians. Cambridge, England: Cambridge University Press. pp. 10�11. OCLC 215059500. ^ Allingham, Philip V.; Landow, George P. (2005-12-12). "The Imperial Context of "The Perils of Certain English Prisoners" (1857) by Charles Dickens and Wilkie Collins". The Victoria Web. 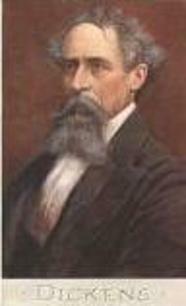 http://www.victorianweb.org/authors/dickens/pva/pva354.html. Retrieved 2009-10-01. ^ Schenker, Peter (1989). An Anthology of Chartist poetry: poetry of the British working class, 1830s - 1850s. pp. 353. http://books.google.com/books?id=hl_Ta-bYMOkC&pg=PA53&lpg=PA53&dq=I+should+do+my+utmost+to+exterminate+the+Race&source=bl&ots=FtOhEsTiZ6&sig=EtgGCt77guSKaC39InW0yvJAW5E&hl=en&ei=gpSHSuiTKpvq6AO55NmCAw&sa=X&oi=book_result&ct=result&resnum=8#v=onepage&q=&f=false. ^ Unnamed writer (January 1849). "The Haunted Man review". Macphail's Edinburgh Ecclesiastical Journal (Edinburgh) vi: 423. "Mr Dickens, as if in revenge for his own queer name, does bestow still queerer ones upon his fictitious creations.". ^ "Medway Council - Eastgate House". Medway.gov.uk. http://www.medway.gov.uk/index/community/weddings/weddingvenues/50362.htm. Retrieved 2009-07-24. ^ Hart, Christopher (20 May 2007). "What, the Dickens World?". The Sunday Times. Times Online. http://travel.timesonline.co.uk/tol/life_and_style/travel/holiday_type/family/article1803247.ece. Retrieved 2007-06-02. ^ "Withdrawn banknotes reference guide". Bank of England. http://www.bankofengland.co.uk/banknotes/denom_guide/index.htm. Retrieved 2008-10-17. ^ Serial publication dates from Chronology of Novels by E. D. H. Johnson, Holmes Professor of Belles Lettres, Princeton University. Retrieved 11 June 2007. Glavin, John. (ed.) Dickens on Screen,(2003), New York: Cambridge University Press. Lewis, Peter R. Disaster on the Dee: Robert Stephenson's Nemesis of 1847, Tempus (2007) for a discussion of the Staplehurst accident, and its influence on Dickens. Moss, Sidney P. Charles Dickens' Quarrel with America (New York: Whitson, 1984). Patten, Robert L. (ed.) The Pickwick Papers (Introduction), (1978), Penguin Books. A person doesn't have to talk to a member of the Philadelphia Branch very long before he learns that the only full-sized statue of Dickens in the world is located in Clark Park, West Philadelphia. While Philadelphians are rightly proud of this distinction, there is a shadow over their pride, a blot on the escutcheon, so to speak; for their beloved statue is in a way illegitimate. In his will, Dickens specifically directed that there be no monument or memorial erected in his honor by his family and friends, since he preferred that he be remembered through his published works alone. Unfortunately (or fortunately, as it later turned out), Frank Elwell, the sculptor who designed and cast the beautiful grouping of Dickens and Little Nell was not aware of this restrictive clause in Dickens's will, thus the statue came into being without the blessing of the Dickens estate and heirs. When it was completed, in 1894, the statue was shipped to Chicago for exhibition at their World's Fair that year, this being the purpose for which it had been commissioned. When the Fair was over, its directors decided, on account of the statue's subject, to send it to England as a gift from the American people. But when the then-head of the Dickens family, the author's son, Sir Henry Dickens, heard about this illegal piece of monumental bronze statuary landing on British soil, he became greatly incensed, not to say peeved, that the generally clueless Americans (when it came to observing proper protocol, anyway) had ignored his father's very definitely stated and legally binding wishes. He therefore very stuffily (from the viewpoint of the Americans, anyway) ordered that the statue be returned to its source, not even allowing it to be unpacked. On its return to America, the statue found its way to Philadelphia, there to languish in a warehouse for several years. At last it was installed at its present location, a green and shady playground for children. Nobody could ever question that the statue in Philadelphia is a great work of art. The seated Dickens, from his superior position atop the plinth, contemplates with benevolence and indulgent affection the little girl standing before him, his hand suspended over her head in a kind of paternal blessing. Little Nell gazes up intently at her creator, her arm resting easily at his feet. The natural patina of the bronze on Dickens's knees and Little Nell's arm is worn off and the metal brightly polished, from the feet of generations of little children who have clambered up to nestle in the curve of Dickens's lap. The sheer artistry and aesthetic power of this sculpture of a little girl and her creator emanates from its every line, its every surface, its every molded feature. At times there seems to be an aura, an ethereal presence, hovering over it that can be very moving to the perceptive viewer. We think Dickens would have been pleased. Stamp in "The Centenary Edition of The Works of Charles Dickens in 36 Volumes." Click to go to the top of this page. 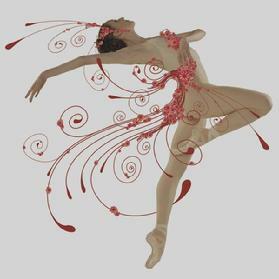 Click Here for the Nutcracker Performance & Peter Tchaikousky with photos and Music. 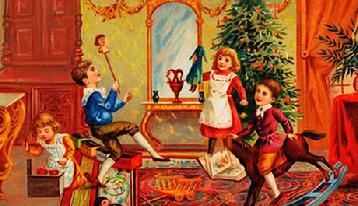 Happy Holidays from all of us at West Saint Paul Antique Mall. Have a Great New Year.